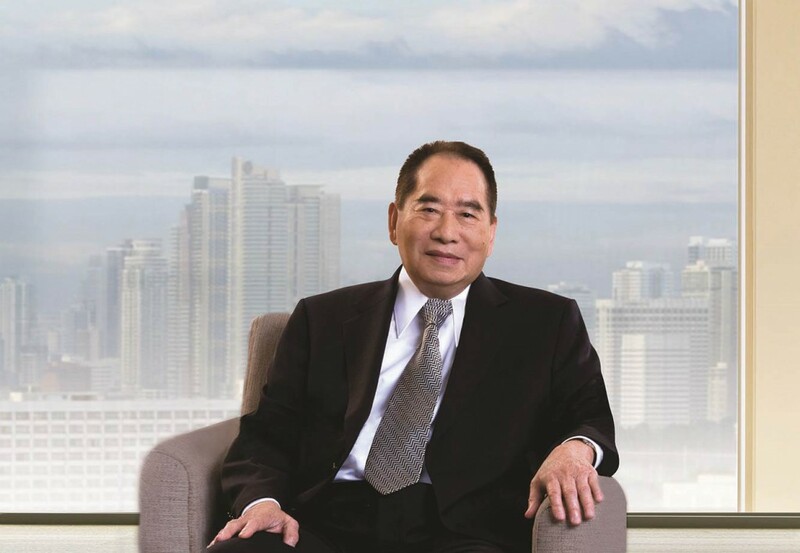 MANILA, Philippines - With a net worth of $13.7 billion, mall and real estate tycoon Henry Sy is the richest man in the Philippines for the 9th straight year. From January to June, Sy’s holding company SM Investments Corporation (SMIC) posted a consolidated income of P15 billion. The growth as mainly brought about by the property side of the conglomerate accounting for 41% of its net income. Banks follow with 38% and retail with 21%. "Sy's family-owned SM Investments is now the largest retailer in the Philippines with stakes in banking, property, and retail,” Forbes magazine said. In February this year, the conglomerate announced that it is merging all its retail-related business under SM Retail. Meanwhile, it also disclosed a partnership with Lazada, a Singaporean e-commerce company in March. SM Hotels and Conventions Corporation, an SMIC subsidiary, opened luxury hotel Conrad Manila in Pasay City in June. Sy, 91, is the only Pinoy to qualify in Forbes’ Top 100 Billionaires around the World 2016 list, ranking 71st. His daughter, Teresita Sy-Coson, also landed in Forbes Asia's Power Businesswomen 2016 list. 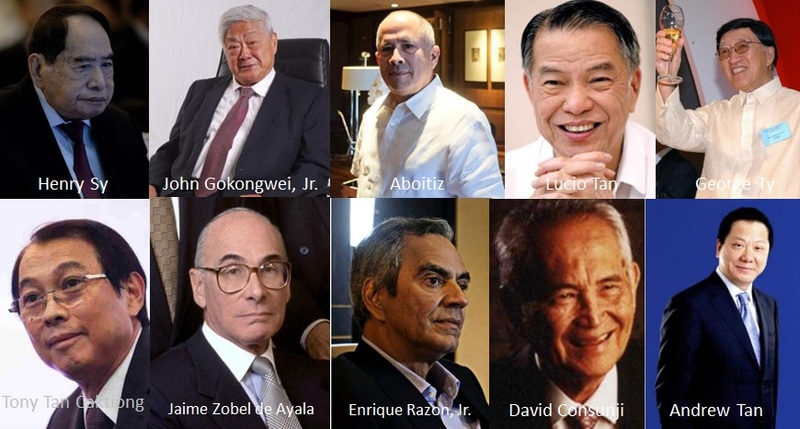 Other Filipino businessmen who made it to the top 10 are John Gokongwei, Jr ($6.8 billion), Aboitiz family ($5 billion), Luciox Tan ($4.9 billion), George Ty ($4.6 billion), Tony Tan Caktiong ($4.3 billion), Jaime Zobel de Ayala ($4.1 billion), Enrique Razon Jr. ($3.5 billion), David Consunji ($3.1 billion) and Andrew Tan ($3 billion). Edgar Sia II, the 39-year-old co-owner of DoubleDragon Properties, was the biggest gainer in the list ranking 17th with a net worth of $1.2 billion. On the other hand, Bienvenido Tantoco Sr., whose company’s net income declined by 58.8% during the first half of the year, suffered the biggest drop in the list. He now ranks 46th this year. The list includes family fortunes as well as wealth shared among extended families. "The list was compiled using shareholding and financial information obtained from the families and individuals, stock exchanges, analysts and other sources," the magazine indicated.